Sudip Rai: Know Why Your Computer Freezes, What Are Its Causes, Prevention and Solution??? Know Why Your Computer Freezes, What Are Its Causes, Prevention and Solution??? There are various reasons which can freeze up your computer, and in most cases you might face lot of difficulty in handling those situations. It will be wise to eliminate the source of the problem or the freezing may occur time to time in your system. Here, we would like to discuss some of the things which you can do to solve your computer freezing problem. But please note that we are preparing this post focusing mainly on the computers which runs Microsoft Windows Operating Systems. The reason for that is because most of the computer users use Windows and most of the malware and other malicious software are developed to harm Windows Operating System. Like we said earlier, there are various reasons which can freeze up your computer. Some of them are software problem but it can be hardware problem too. But freezing caused by hardware problem can be easily diagnosis when the computer system was working good until a recent hardware change. Often this case can be solved by simply installing the correct driver for the correct hardware. You can find the right driver for the right hardware by surfing on the official page of the hardware manufacturer. Keep in mind to download the latest version. Incorrect or faulty drivers can cause your computer to freeze. Faulty Random Access Memory RAM modules can also cause your computer to freeze. However, RAM usually doesn't show any problem unless it is exposed to high temperature (usually when there is overheating inside your CPU). Similarly, faulty Hard Disk drive can also cause computer freezing problem. So, they should be regularly checked for errors and defragmented as well. And freezing may also occur due to the misconfigured BIOS clock settings for overclocking. And the other thing which may cause freezing problem in your computer is the installation of third party software, pirated software and software which are not written by the Microsoft company. These kinds of software freezes your computer by conflicting with other programs in your system and not only that they may conflict with the Operating System itself. Vendors of the third party software provides a special kind of patch file to solve this problem. And it will be wise to run that patch file to solve the freezing problem if the source of the problem is that very own third party software. There are certain cases in which a program doesn't work well in presence of another program inside the computer system. So, it will be wise to find the less important one and then eliminate them. For example, installing more than one antivirus program in a system can cause conflict in your system and since both antivirus program will try to use the same single resource from your computer which may freeze your computer time to time. Also note that, uninstalling the problematic program doesn't solve the problem entirely. Because uninstallation process may not have occurred correctly. There may be bits of some files or something which may have left behind which can act as a bullet fired from a machine gun to create problem in your system. So, always remember to check and the delete the remaining files manually whenever your uninstallation process is completed. And finally there are cases related to the malicous programs like rootkits, spyware, viruses, and keyloggers. These kinds of programs gets installed on your system without your knowledge and secretly run in the background to create havoc in your system. You can also guess the problem by infection when your computer starts to show freezing problem and there is no any recent change in the software or hardware in your computer system. And everyone knows how to eradicate the infection problem in your system which is to find, install and run a good and strong antivirus program in your system. 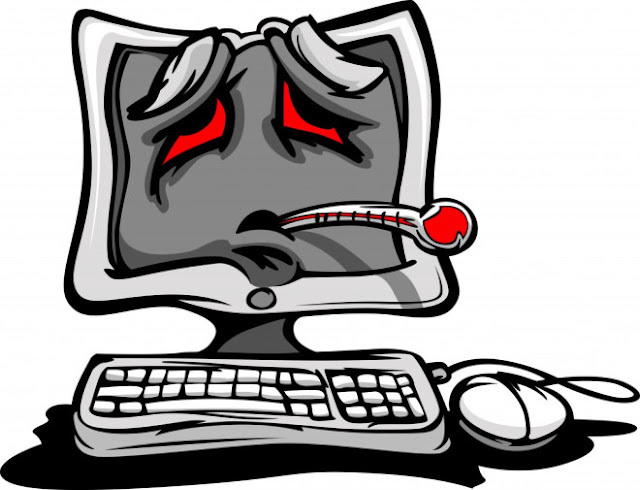 What can you do when your computer is freezing? So, lets begin with the worst case scenario first. There is this freezing case in which you can neither move your mouse or run the keyboard, in other word both of them are dead and unresponsive. You can wait for sometime until they can respond back but even if waiting doesn't solve the problem then there is no choice but to do a hard reboot (cutting the power source off for sometime and turning it back on). But remember that doing so you will lost all your unsaved changes to a document or a file if you were working earlier. But this is the only option because there is no any other reliable way to shutdown your computer if both of your keyboard and mouse are not responding at all. After completing your so called hard reboot your computer might ask you to inspect one or more hard disk drives for consistency. You can allow it to do so and usually nothing is discovered in this case but sometime Windows might detect some problem and it might perform task like repairing some files in the file system before letting you access your desktop screen. And there is another case in which your mouse or the keyboard response when your computer freezes. Consider yourself lucky because there might be solution to the problem. Just press and hold down the Ctrl, Alt and the Del key all at once to bring up the Task Manager window. Now you can press the Tab key on the keyboard to highlight the Application tab or you can directly click on Application tab if your mouse is responding well enough inside the Task Manager window. Here you can see a list of the programs which are currently running in your system. There you will see the programs which are running and which are not responding. You can select the not responding program with the help of the arrow keys on the keyboard or with the help of the mouse then press the Tab key again to reach the 'End Task' and press Enter button or you can click with mouse. Sometimes closing or killing the non responsive program while running can allow you to continue your work on your computer. But but but if the same program keep on freezing time to time then it will be wise to update your program, run a patch file from the official website or contact the software vendor for assistance. And if there is no patch available for the program then you can uninstall the program and re-install the software once again. You can defrag your hard disk or even run a good and trusted registry optimizer to fix the issues relating to registry. Sometimes googling about the troublesome program also can help you to solve your problem because you might not be the only misfortunate people around there who is facing the same issues again and again. You might get ideas about how the other solve the similar problem which you are facing.